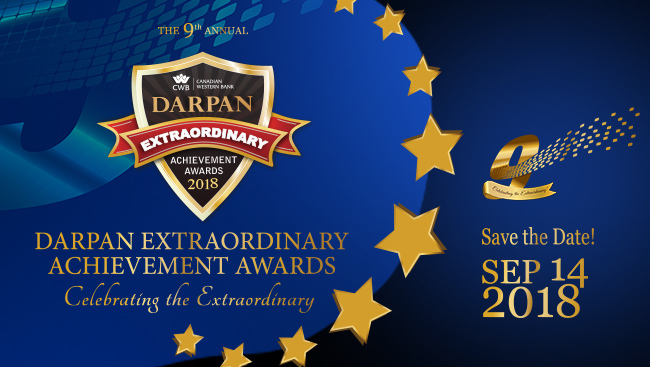 Nominations for DARPAN's 9th Extraordinary Achievement Awards are now closed. 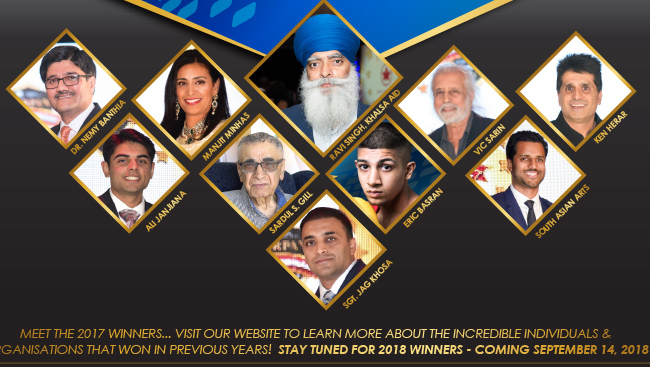 Taking place September 14, 2018, at Aria Banquet and Convention Centre in Surrey, the Red Carpet rolls out at 6 pm and will welcome more than 900 people comprising of Vancouver’s top social and business elite in the South Asian community. The event features an influential keynote speaker, local celebrities, sensational entertainment, a glamourous fashion showcase. 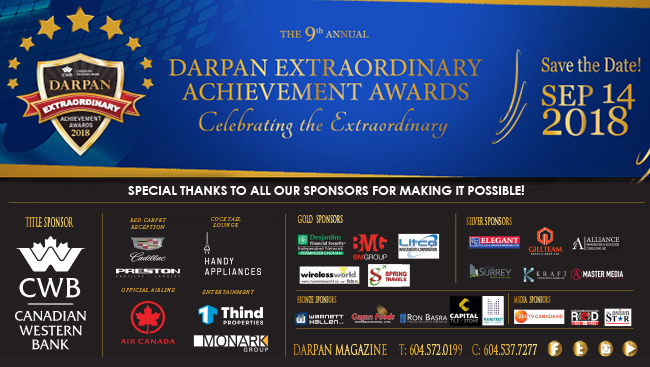 If you think you or someone you know rightfully deserves this title, log on to www.darpanmagazine.com to drop in a nomination.